It might seem like a good idea to give your nails a clean canvas by cutting out cuticles but we at TNS suggest cleaning access and pushing back the cuticles rather than cutting them. Cuticles act like a natural barrier to fungus and bacteria that can breed in your nail beds causing it to be sensitive, swollen at times and prone to cuts and infections. If you’ve been to any of the branches at TNS – the expert therapists will also recommend maintaining cuticles at home by pushing them back when they are soft in the shower for fabulous fingernails. 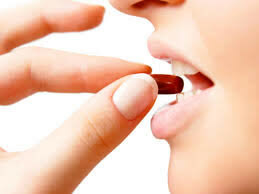 If you’re on a high protein diet then you’ll notice the benefits like stronger, longer nails, but if eating protein rich food isn’t for you then you can always opt for Biotin – a vitamin enriched supplement easily found in any pharmacy. What’s great is that including this supplement allows nails to become thicker which in turn prevents it from splitting and breaking. If you’re not opting for bare nails then the best way to get your nails healthier and stronger is by opting for Bio Sculpture Gel – it’s this long-lasting gelish formula that’s chip-free, smudge free, breathable and allows nails to get strengthen and get back to a healthier state in just four weeks! Go that extra mile for your 10’s this month with some of TNS’ signature Therapeutic Treats. Choose from an amazing range of indulgent in-chair treatments that can be added to your mani-pedi maximizing your ‘me’ time. We recommend a relaxing and rejuvenating 30 minute So Sweet Almond Dip – a deliciously warm and sweet almond oil dip which will soften your cuticles and deeply nourish nails. Or opt the delectable and delightful Go Mango Mandarin – a must-try anti-ageing and anti-oxidant treatment which combines a dead sea salt soak, sugar scrub and highly hydrating bootie and mitten moisture mask that live your hands and feet feeling softer than ever.